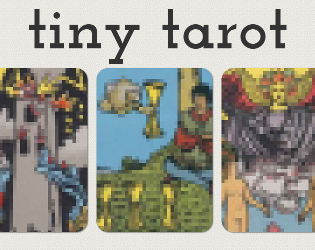 think of a situation or a problem, and let tiny tarot tell you what it thinks. made with twine 2, in an evening, for twiny jam. 300 words exactly.